Northern Arizona & Southern Utah offer some of the most special places to see. With so many National & State Parks, Recreation Areas and National Monuments you can spend a lifetime trying to see it all. Whether you spend your time in the more popular areas or the remote outback there is something for everyone to do. Below are just some of the special places you can visit with some of the most fantastic tours you could ever ask for. Guides are very passionate about their work and will offer you the most memorable experience possible. A great way to learn about the history, culture and possible some unknown facts about the area. Use a guide or tour company, you won't regret it. Lake Powell offers a vast amount of recreational opportunities for fun in the sun. From scenic boat tours to driving your own rental boats, enjoy the amazing amount of scenery you can only find on Lake Powell. Lake Powell has some of the most amazing sunsets you can imagine. It also has over 91 major side canyons each with their own beauty and individuality. One area you cannot miss is the Rainbow Bridge. Boat Tours to Rainbow Bridge leave daily during the season, but at current water levels, you need to plan for a 7-8 hour trip. It is well worth the time if you don't want to drive yourself. 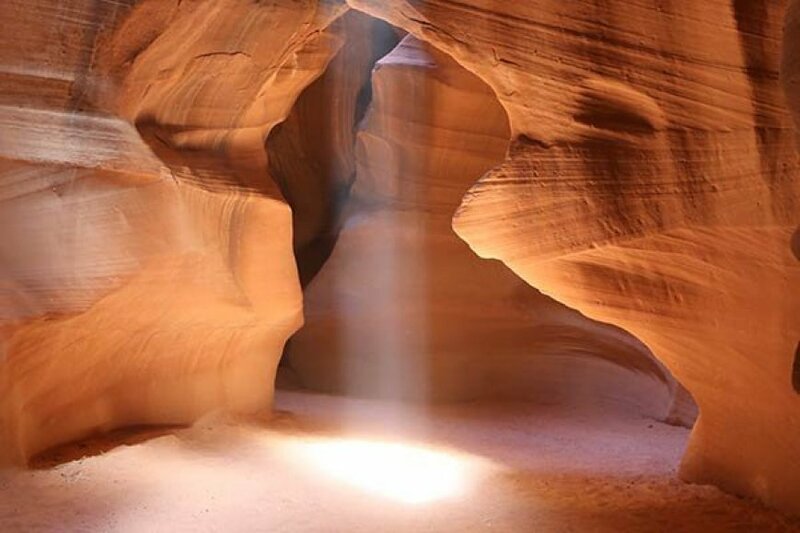 The mysterious and haunting beauty of Antelope Canyon (also known as "Corkscrew Canyon," one of the few slot canyons in the area) awaits the adventurous traveler who seeks to discover one of the most spectacular yet little-known attractions of the Lake Powell area. A tour to this awe-inspiring sculpture set in stone is a must for amateur and professional photographers alike. Come see nature's surprising masterpiece of color. Float Trip opportunities are available from the town of Page. GLEN CANYON RAFTING (Wilderness River Adventures) offers a unique way to see what Lake Powell looked like before the lake was here. It is also the beginning of the most upper region of the Grand Canyon and a great way to explore the river. This is a must see while you are in the area. They offer half-day and all-day smooth water float trips from the base of Glen Canyon Dam. JeepLakePowell offers an experience into the backcountry for a small group or family utilizing the off road Jeep Wrangler (4 pax max). We are the only permitted tour outfitter for the Southern half of Grand Staircase-Escalante National Monument and we go One Jeep at a time. Tour durations are from 3 1/2 to 4 1/2 hours and venture into such areas as Outlaw Canyon, Natural Springs Canyon, Smokey Mountain Overlook and Hackberry Canyon. If you want a beautiful overview area there is our Mountain Top tour overlooking Lake Powell. Come and enjoy the breathtaking views only a handful of people get to experience. Offering guided hiking & photography tours into areas such as Buckskin Gulch, White Pockets, North Coyote Buttes (The Wave), South Coyote Buttes, Thousand Pockets, Tee Pees and the Grand Canyon. Licensed by the BLM since 2001, we offer safe, enclosed vehicles and fully insured guides. Trips range from 5 to 7 hours in duration. Call for an experience of a lifetime, (928) 691-0166. Located about 30 miles to the West of Page we are based in the Lake Powell area offering horseback rides for all levels of riding ability/experience within Grand Staircase-Escalante National Monument. Grand Staircase-Escalante National Monument remains an area of unspoiled natural beauty with isolated mesas, valleys, buttes and narrow canyons. This area is known as “God’s country” for very good reason. Horseback riding within Escalante Monument offers outstanding views of the Monument, the renowned Hoodoos, the jaw-dropping “Secret Canyon,” and the surrounding desert. Our guides will introduce you to the history of the area, and its unique flora and fauna.